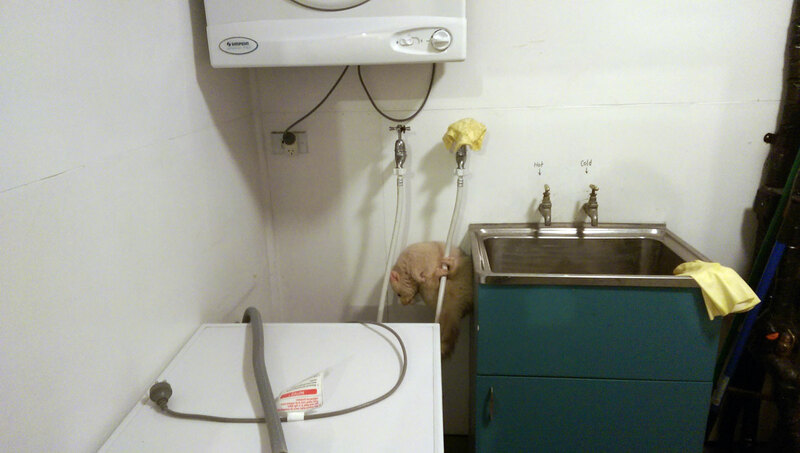 We don’t always get possums in the laundry, but when we do… they are golden ones ! A couple of nights ago we left the door to the laundry open. In the morning we found an incredible mess, wee and poo everywhere, buckets tipped, vacuum cleaner tipped… chaos. Obviously a possum had smelled the dog pellets and decided it was too delicious to resist. I cleaned everything and made sure the door was left shut for the following night. This morning I go back to the laundry and WHAAAAT… same mess as the night before! I look around and can’t find the intruder anywhere. For a while I think I’m going crazy… then I go back to have a better look and sure enough the little golden bugger had been hiding, squeezed behind the washing machine. 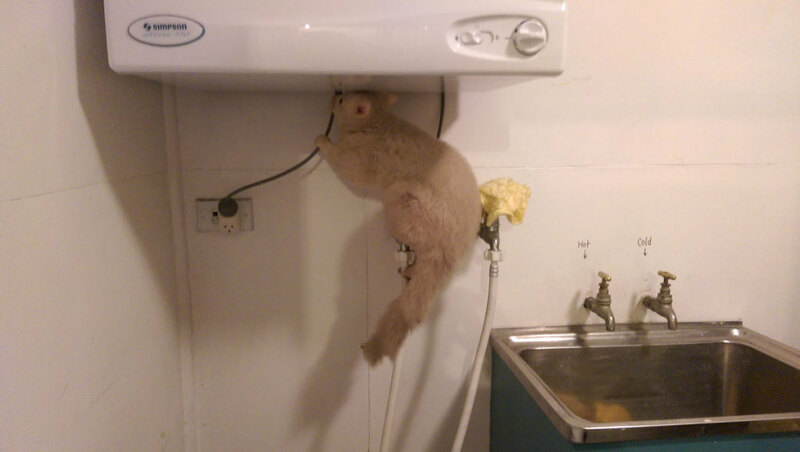 I left it there all day as possums get pretty confused during daylight and this evening after dinner I had to grab it by the tail and swing it out the door. My kids thought it was the funniest thing in the world. NB Golden possums are fairly rare. They occur mostly in Tasmania.